Takvim-i Vekayi is a peer-reviewed, indexed and academical science journal with publishing twice in a year. it is interdisciplinary journal provide to rapid communications on the science, applications, and processing of sciences. 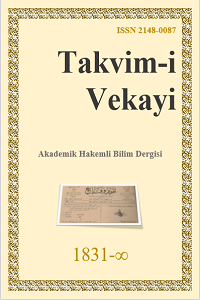 Takvim-i Vekayi is aimed to publish novel, research reports of interest to the science community.